Softon Entertainment’s free-to-play MMO Dark Eden is now available on Steam. The game, which has been available to play via its own site for some time now, launched on the digital service earlier today. 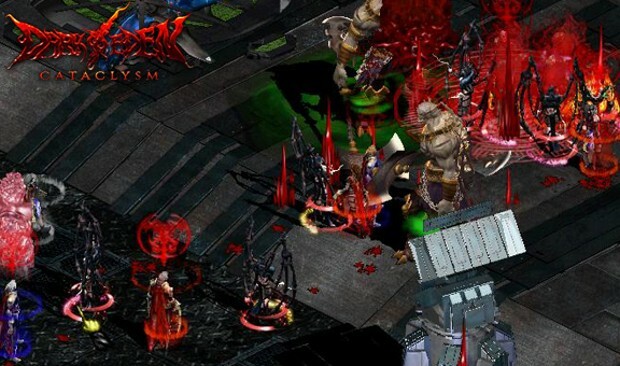 Steam players will be able to experience the full game, playing as one of three races locked in battle with the others — Vampire, Slayer, and Ousters. In game, they can take part in small-scale conflicts as well as all-out war. The game features a day/night system that impacts players based on their race, granting different races different stats depending on the time of day. If you’re a Steam player who hasn’t played the game before, you can give it a whirl via its download page. Rather than this, place RUSTYHEARTS back. Just a sidenote: This game is horribly optimized, I tried to play for 30 – hour on a fairly high end pc, I was getting 10 – 20 frames at times? I have played this game for alot of years on many servers , mine was downloaded of the host prior to steam and I haven’t heard of anyone having such bad playable files. WOW, its so old game 10y + atleast, i played it. For a new player it is confusing and for anybody its outdated. And it doesn’t mean that is bad i believe that this is a good game but not for everyone.